There is a couple quick things to say about this image taken during recent camera tests. Number one, it resurrects emotions from a franchise very dear to my heart. If you haven't guessed it yourself, I'm talking about Indiana Jones. 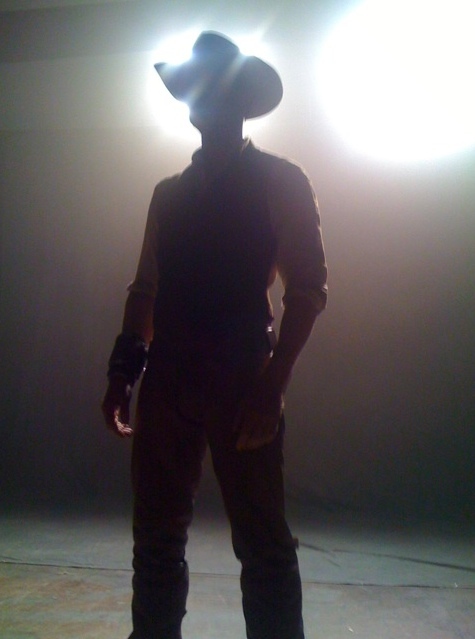 A tall slender figure coming from the shadows wearing a hat, yes it might be a stretch, but it looks like Indy to me! Now, I know its not actually Harrison Ford in the image, even though he is actually in "Cowboys and Aliens," but regardless its a awesome tease! The image also gives us a small glimpse of the wardrobe will see in the action adventure starring Daniel Craig, Olivia Wilde, Sam Rockwell and Harrison Ford. Recently Paul Dano, Clancy Brown, and Keith Carradine all joined the cast as well. I've read the comic previously and I have to say, its a very quick and fun read. I think this movie will be a far better version of the story. This story lends itself for the screen and big time action. Not to mention an outstanding writing staff that is sure to make the movie a bit more detailed. 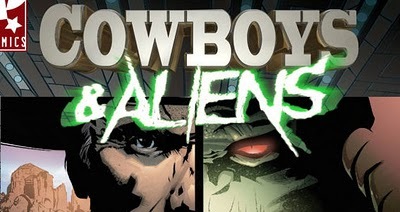 Stay tuned for more "Cowboys and Aliens" updates as production continues.